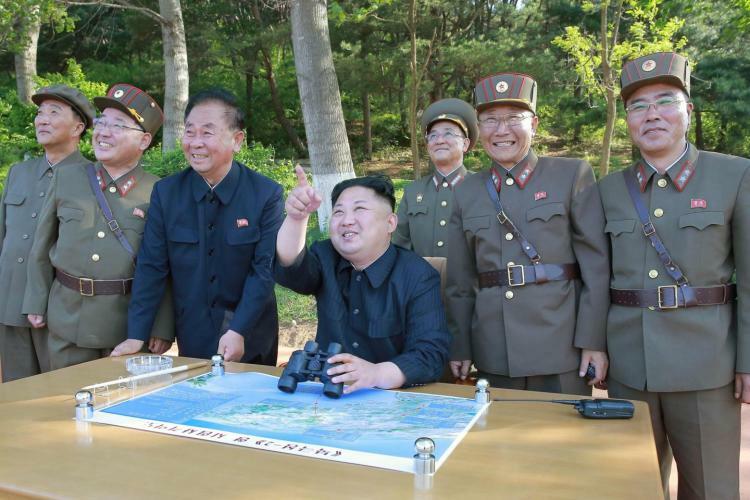 North Korea has confirmed a large “earthquake” felt throughout the region was created by a hydrogen bomb. NORTH Korea has confirmed a large “earthquake” felt throughout the region today was created by a hydrogen bomb. The “artificial quake” measured 6.3-magnitude and was followed by a 4.6-magnitude quake originating near the North’s main testing site at Punggye-ri. In a message broadcast on North Korean state television, spokeswoman Ri Chun-hee - otherwise known as “The Pink Lady” - announced the country’s sixth nuclear test was “a perfect success”. It’s believed the explosion was five or six times more powerful than the hermit state’s fifth nuclear test carried out earlier this year. The blasts that shook North Korea were earlier mistaken as an earthquake and followed shortly after the country’s official news agency claimed Kim Jong-un had inspected a hydrogen bomb possessing “great destructive power”. The Japanese Government claimed it had proof the “earthquakes” were man-made. Previous recent tremors in the region have been caused by nuclear tests which, if the case this time round, is bound to increase the tension hours after US President Donald Trump and Japanese Prime Minister Shinzo Abe talked by phone about the “escalating” nuclear crisis. Prime Minister Abe said the nuclear test was “absolutely unacceptable”. “If it forcibly conducted a nuclear test, it’s absolutely unacceptable. We have to strongly protest it. “There is a possibility that this is not a natural quake and that North Korea conducted a nuclear test,” he said, adding that the Japanese weather agency detected a seismic wave. The US State Department had no immediate reaction. Australian Prime Minister Malcolm Turnbull has yet to formally respond to news of the test but deputy opposition leader Tanya Plibersek labelled the move “irresponsible, aggressive and threatening peace”. The hydrogen bomb report by North Korea’s official KCNA newsagency comes amid heightened regional tension following Pyongyang’s two tests of intercontinental ballistic missiles (ICBM) in July that potentially could fly about 10,000km, putting many parts of the mainland US within range. 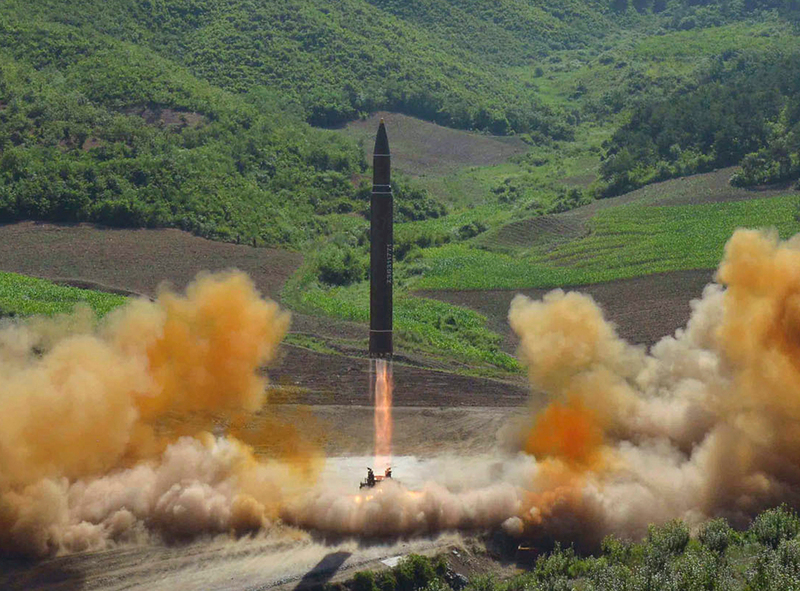 Under Kim Jong Un, North Korea has been pursuing a nuclear device small and light enough to fit on a long-range ballistic missile, without affecting its range and making it capable of surviving re-entry into the Earth’s atmosphere. North Korea, which carries out its nuclear and missile programs in defiance of UN Security Council resolutions and sanctions, “recently succeeded” in making a more advanced hydrogen bomb that will be loaded on to an ICBM, KCNA said. “The H-bomb, the explosive power of which is adjustable from tens kiloton to hundreds kiloton, is a multi-functional thermonuclear nuke with great destructive power which can be detonated even at high altitudes for super- powerful EMP (electromagnetic pulse) attack according to strategic goals,” KCNA said. A hydrogen bomb can achieve thousands of kilotons of explosive yield - massively more powerful than some 10 to 15 kilotons that North Korea’s last nuclear test in September was estimated to have produced, similar to the bomb dropped on Hiroshima, Japan, in 1945. Pictures released by the North showed Kim inspecting a silver-coloured, hourglass-shaped warhead in the visit accompanied by nuclear scientists, with a concept diagram of its Hwasong-14 long-range ballistic missile seen hanging on the wall. Tensions on the Korean peninsula have been high since last month when North Korea threatened to launch missiles into the sea near the strategically located US Pacific territory of Guam after Trump said Pyongyang would face “fire and fury” if it threatened the US. Trump told Abe that the United States, as an ally, was 100 per cent with Japan, Deputy Chief Cabinet Secretary Yasutoshi Nishimura told reporters.